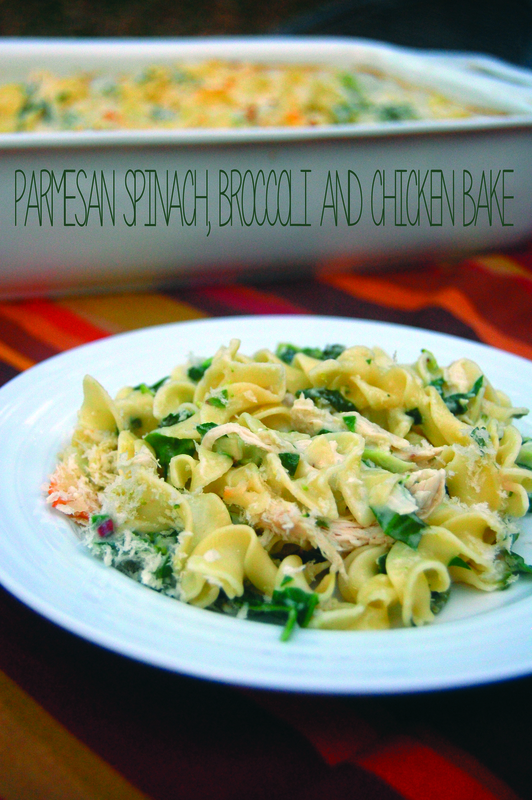 With the emergence of cold weather comes the one-dish wonder dinners in my house. Nothing warms you to the core better than a good, ol’ casserole. This dish plays off some lovely green veggies, packing a vitamin punch. You can always mix and modify this dish with some roasted red pepper, sun-dried tomato or goat cheese additions. In large pot, boil water and cook egg noodles according to package directions. In a large sauce pan, melt butter. Whisk flour until roux forms. Slowly add milk, about 1/4 C at a time, until fully blended. Whisk often at a medium heat until sauce thickens, about 10 minutes. Whisk in pepper, salt, garlic powder, red pepper, yogurt and parmesan cheese until melted and blended. Remove from heat. 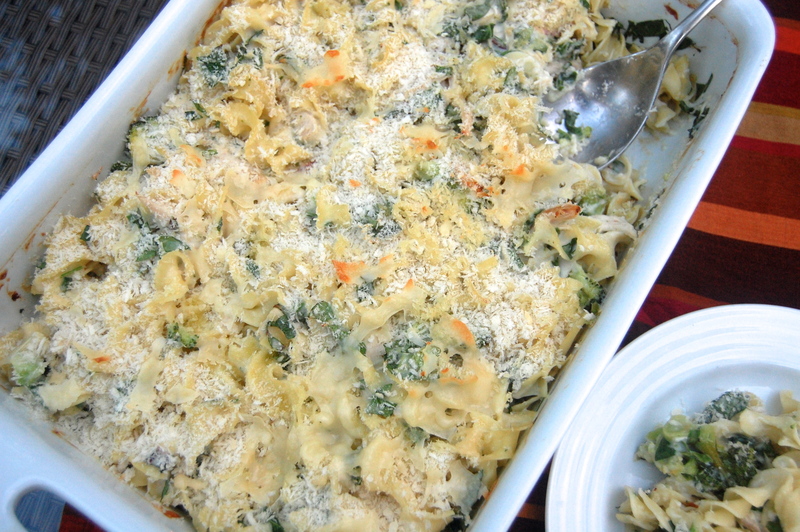 In a 9×13 casserole dish, mix noodles, steamed broccoli, chopped spinach and chicken together. Pour sauce over the top and mix thoroughly until evenly coated. Sprinkle dish with panko and parmesan. Drizzle olive oil over the top. Bake at 400 degrees for 12-15 minutes, until topping turns golden brown.